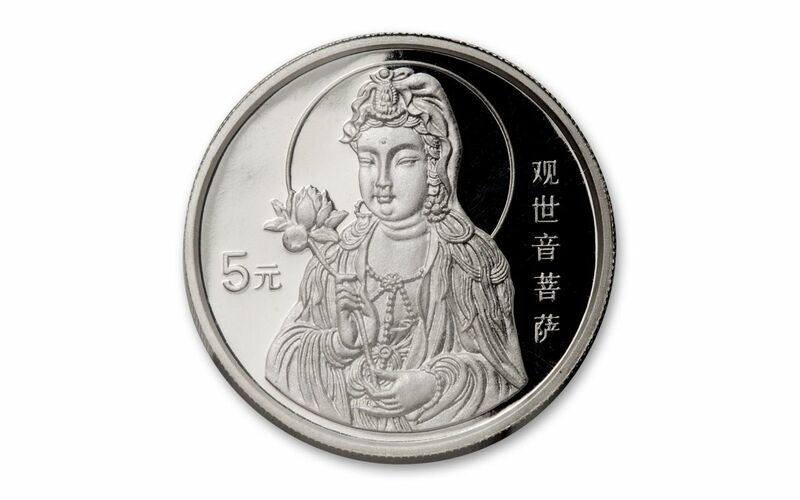 18 years ago, the China Mint unveiled an exquisite One-Ounce 5 Yuan Silver Proof, featuring the much-admired goddess Guan Yin - one of the most frequently depicted figures on Chinese coins. Twice the thickness of its standard One-Ounce Silver Proof, the mint struck a mere 5,000 of these legal tender coins in 99.9% pure silver. 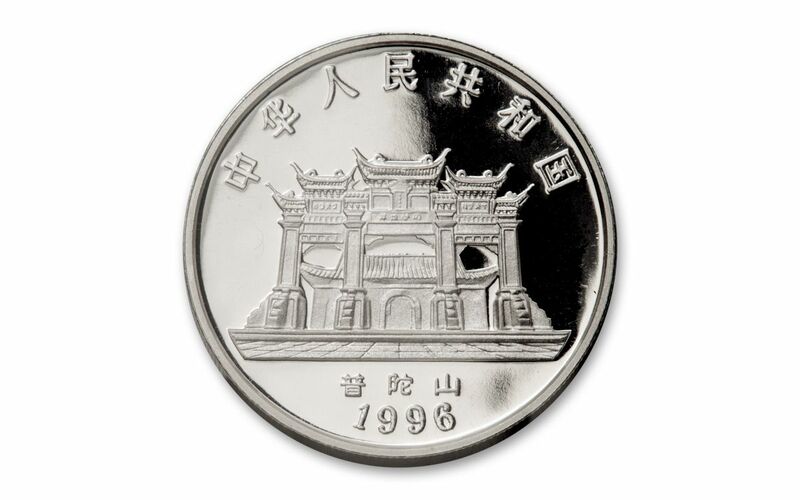 But, if you were a Chinese collector when these proofs were released in 1996, you were out of luck, because China wouldn't legalize silver coin ownership for its own citizens until 2004! The small mintage of One-Ounce Silver Guan Yin Proofs were only available OUTSIDE The People's Republic of China in 1996. But, thanks to our decades-long relationship with the China Mint, we managed to secure a limited number of these coins on their release - and reserved a few of the best for safe-keeping in our vault. As one of our best customers, you can still secure this sought-after coin decades later! These double-thick silver 1996 Proofs are exceedingly difficult to find today. Their low mintage is one reason - and something that often translates into higher value. But, there's also quality. 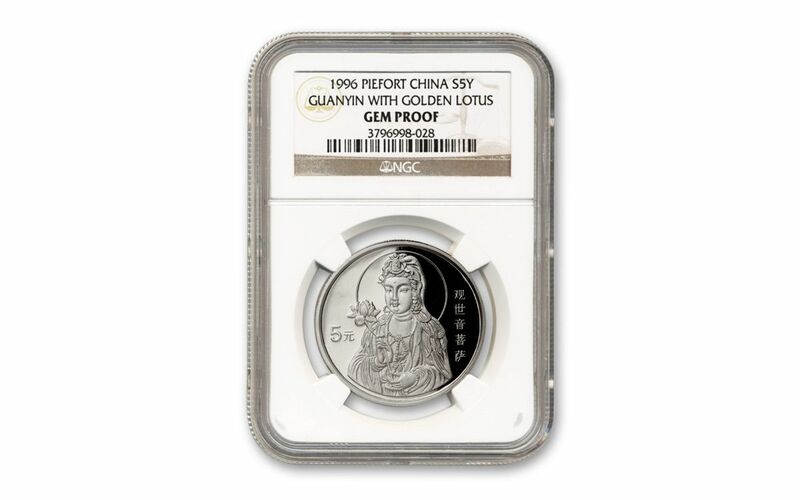 Each of our remaining One-Ounce Silver Guan Yin Proofs has been graded Gem Proof by Numismatic Guaranty Corporation (NGC), which is one of the leading independent grading organizations in the world. 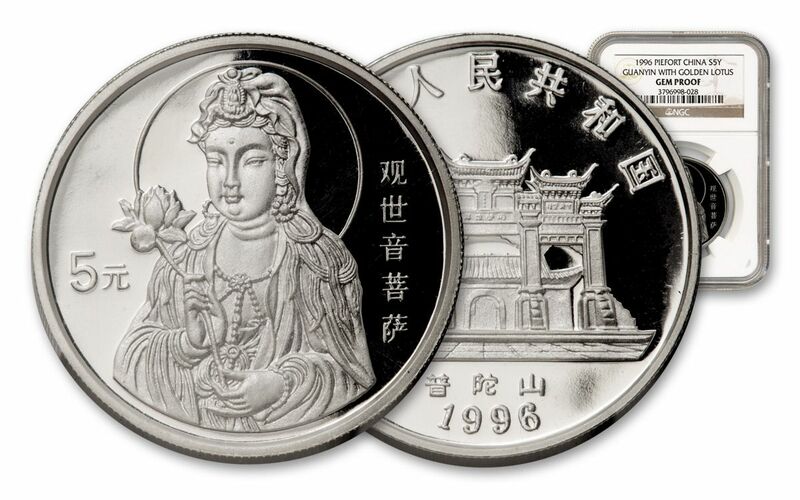 Don't miss this opportunity to add this 1996 Silver Guan Yin proof to your collection. Just hurry - after almost two decades, these won't last long!